Part of the real pleasure of this trip was our small tour group who went to the famous sites around Edinburgh. 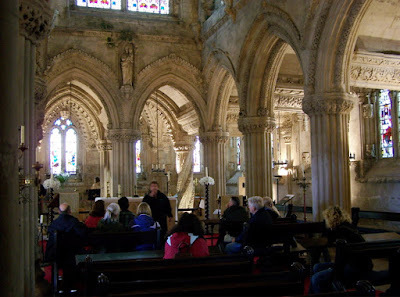 John Heisner and I spoke whole we toured Rosslyn Chapel. I have spent the last six years trying to get at the honest history of Rosslyn as best I could, because I believe it is wrong to spread a dishonest version of the significance this place plays in Masonic and Templar history. This is why I think Bob Cooper’s book, The Rosslyn Hoax, is the most important Masonic/Templar book since Born In Blood. But John challenged me with something, and I am not sure how I feel about it yet. Namely, so what if it is a myth? The place of myth in the fabric of our lives is a prominent one. Myths tell allegories, teach lessons, and point the way to understanding. Apart from the blindfolded initiate carving, there is no overt Masonic sign, symbol, word or image in all of Rosslyn (and the hoodwink and cabletow doesn't seem to provably appear in Masonry until the 1700s). The Apprentice Pillar was called the Prince’s Pillar until 200 years ago, and the three pillars that are said to represent the three degrees predate the third degree in Masonry by a good 275 years. But maybe what is important about Rosslyn (or any cathedral, for that matter) are not dates and facts and proofs, but the power that symbols of faith have to teach us and inspire us. Rosslyn is like no place I’ve ever seen in terms of so many disparate images and concepts collected in one tiny place, like a Hieronymus Bosch painting come alive. There’s no Mary Magdalene here. There’s no Seal of Solomon in the floor walked by centuries of pilgrims, or over the lintel of a secret repository of secret sacred scrolls. But perhaps there doesn’t have to be, and perhaps the 120,000 Dan Brown fans who tromp through it at £7 a head are looking for more than was ever intended of the little chapel. This is William Sinclair’s vision of his own devotion to God and his desire to build a place that would inspire his own faith – not mine, or yours, or John Knox’s or Oliver Cromwell’s or even Dan Brown’s. Paul insisted Sunday night that he wanted to attend Evensong services at St. John the Evangelist Episcopal church, around the corner from Grand Lodge. He talked about it most of the day, but I really had no interest. As the day waned, I knew the shops closed at 5, and I had done no gift shopping for anyone at home. So, I left the clot of the last dogs to die at The Dome as they hoisted their last round and shouted their farewells. I took a cab up to the High Street, and made my way through the blocks of shops selling kilts and cardigans, scotch and those all important coffee cups tourists always buy, only to sell ten years later in garage sales, after the trip of a lifetime becomes a distant memory. Maybe by accident or design, I stuck my head in a wine shop by mistake, and walked right up to a row of bottles of Chevaliers des Templiers St. Julien 2003, emblazoned with a simple Templar cross. Dan Brown and the Templars tapped me on the shoulder once more, and as I exited with two bottles, I looked down at the street and saw I was once again standing over the mosaic cross of the Knights of St. John. I wandered a bit, and admittedly got a little lost in the warrens of steep closes behind the noise of the High Street. At last I regained my bearings and made it across the bridge headed back to the hotel. I know more than ever at this stage in my life that things happen for a reason. So I suppose there was a reason that just as I walked back past The Dome about to cross to the hotel, Paul and Adam came down the steps. I had assumed they left hours ago when I had, but they had stayed. Paul was now in search of a taxi to get to his Evensong service before 6. Without waiting for me to object, he shoved me in the cab, and I was off to church, hauling my sack from the wine shop. I know, typical Catholic. We think every occasion is BYOB. 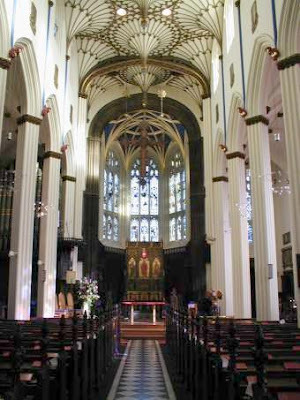 St. John’s Church on Prince’s Street is like so many other of the literally dozens of such churches that dot Edinburgh, all stone, and all blacked by two or three centuries of auld reekie’s airborne filth. Unlike other cities, Edinburgh, like Rome, wears its aged, blacked stone with pride, almost like legitimate scars of battle. The minister and deacon stood at the door, genuinely grateful that three American gawpers had strolled in at the last minute for the service. This was no mighty, well-heeled church with bags of cash and a massive congregation. There were maybe ten of us there in all. Funny the things you know out of thin air or some repressed memory, or even some book long forgotten. I’ve never been to an Anglican service before, but it seemed oddly familiar. Not like the Catholic services from my own experience, but somehow more appealing to me. I don’t mean the endless paging through the cross-referenced hymnals and prayerbooks and paper addendums that took on an almost “Day At The Races” confusion for me. What dragged some forgotten faith from my past was the soaring voices of the choir and the organ that dominated the south wall. Maybe it was from a lifetime of wearing out recordings of Thomas Tallis hymns and Vaughn Williams variations. And as we left, John’s discussion back at Rosslyn rolled over me as I shook hands with Reverend Armes and glanced back one last time into the church. Maybe it has been Freemasonry that has taught me more than anything else in my life that artificial boundaries of religious labels only separate men from each other. My beliefs or Adam's or Paul's, or the beliefs of all of those attendees at this conference did not unite us. Rather, it was the celebration of an institution that welcomes men of every faith, that truly brings together those who might otherwise been kept at a perpetual distance. And that was the greatest gift of this week to me. Thanks, Paul, for tossing me into that taxi. But then there is always an ironic twist in life. In the south aisle of St. John's Church there is a memorial – one of dozens to be seen all around the church. It is to Sir John Robison 1778-1843, inventor of the siren. But Sir John invented something else as well in 1797. Namely, he invented the modern conspiracy theory of the Illuminati and the Freemasons in his book, Proofs of a Conspiracy against all the Religions and Governments of Europe, carried on in the secret meetings of Freemasons, Illuminati and Reading Societies. As a good friend of mine so often laments, so it goes. More than 60 original papers were presented by their authors, on an astounding range of Masonic topics – ritual, origins of the Craft, architecture, symbolism, Masonic literature, publishing, and Masonry’s place in the bigger picture of worldwide fraternal organizations. The pro-Grand Master from the UGLE, plus the GMs of both Scotland and Ireland were all together for this very rare occasion. The gracious and capable hosting of this event was performed by the Grand Lodge of Scotland. I have no knowledge of who did what behind the scenes, or how this was pulled off, but a huge note of thanks go to Robert Cooper for his part, as well as all of the organizers. Even the trimmings of the event were first-rate – a concert to kick off the opening in the form of a symphonic competition for young musicians, and a gala black-tie dinner and Scottish céilidh in the incredible 19th century Royal Museum of Scotland (no, I did not participate in any Highland flinging or Virginia reeling). A range of papers was presented that literally boggled the mind, on topics of symbolism, origins, ritual, history, architecture, religious influences, societal influences, the famous and the infamous. The organizers were somewhat astonishingly surprised that so many attendees made this request. As an afterthought they were proposing a CD-ROM be created with the papers and distributed to attendees. As of today they were still speaking with the presenters to get permission (there are publication rights involved and some authors may object - or be restricted by book or university contracts). What made this such a one-of-a-kind experience was the chance to meet so brethren and non-Masonic authors and researchers I have long read and admired, all collected in one place (although I briefly had a terrible thought that if the ceiling came down on the place, there would be no one left in the Masonic publishing world but Knight and Lomas). Researching Freemasonry: Where Are We? Creative Destruction: The Cycles of American Masonic Historiography. Paper 2a. Thierry Millet, France. Franc-maçons et nationalisme en Syrie mandataire (1930-1940). Paper 3a. Gunnar Carlson, USA. The Number Three in Freemasonry. Paper 1b. David G. Hackett, USA. Freemasonry and the Re-imagining of American Religious History. Paper 2b. Santiago Richter, Israel. Paper 3b. Eberhard Panne, Germany. The Mysteries of Mithraism: Just a Preliminary to the Rites of Freemasonry? Paper 1c. Brent Morris, USA. The Six Stages of the Evolution of Freemasonry in the United States of America. Paper 2c. Michael J. Hearn, UK. The Story of Adeni Masonry. Paper 3c. Colin Browne, South Africa. The Masonic Tarot (A History). Paper 4a. Cécile Révauger, France. Anderson’s Freemasonry: the True Daughter of the British Enlightenment. Paper 5a. E. E. Waller, USA. Turkish Masonry: venerable past, future hope. Paper 6a. Raymond C. Vaughan, USA. Due Process, Morgan’s Disappearance and American Antimasonry in a Historical Context. Paper 4b. Audrey T Carpenter, UK. The Appeal of Early Grand Lodge: the Significance of Freemasonry within the Multifaceted Career of JohnTheophilus Desaguliers. Paper 5b. Kathleen O’Donnell-Kassimatis, Greece. The Poems of Ossian and the Masonic Utilisation in Federalist Movements in the South East Balkans. Paper 6b. Pierre Besses, France. The Masonic Symbol as Hermetic Hieroglyph? The Differing Views of Albert Pike and Oswald Wirth on Teaching the Invisible. Paper 4c. Trevor Stewart, UK. Desaguliers’ visit to Edinburgh, 1721. Paper 5c. John Colias, Cyprus. The Levant Company and Masonry: the Parallel Lives of Two Institutions in the Ottoman Empire. Paper 6c. Marco Zavala, Mexico. Paper 7a. Kenneth Loiselle, USA. Adoption Lodges in 18th-century France: a Challenge to Male Friendship? Paper 8a. Bob James, Australia. Getting the Question Right: Problems with the Historiography of Freemasonry. Paper 9a. Mordechai Zwirn, Israel. The Evolution of Natural Law within the Philosophy of Freemasonry. Paper 7b. Pierre-Yves Beaurepaire, France. 18th-century Adoption Lodges: a Space for Dialogue between Men and Women. Paper 8b. Dan Weinbren, UK. Freemasonry and Fraternity in 19th Century Woolwich and King’s Lynn. Paper 9b. Jeffrey Kantor, Canada. Paper 7c. James Smith Allen, USA. From Fraternity to Community: French Women Freemasons on their Lodges, 1774-1939. Paper 8c. Roger Burt, UK. Fraternity and Benevolence: Masonic and Friendly Society Relations in Late Victorian Cornwall. Paper 9c. Larry Jones, USA. Remaining Hoodwinked: Looking in the Dark for Answers We Don’t Need While Avoiding Enlightenment. Plenary lecture 2 Margaret Jacob, USA. Plenary lecture 3 Jose F Benimeli, Spain. The Relationship of Freemasonry and the catholic Church from the 18th Century to Our Times. Paper 10a. Malcolm Davies, The Netherlands. The Mystical Muse: Early Masonic Operas, Cantatas and Dramas. Paper 11a. Mark A. Tabbert, USA. The Development of 20th Century American Masonic Philanthropies. Paper 12a. Pauline Chakmakjian, UK. The Contemporary History of Freemasonry in the Far East. Paper 10b. Roger Dachez, France. Early French Masonic Exposures (1737-1751): a Reappraisal and some Methodological Reflections. Paper 11b. John Belton, UK and David Harrison, UK. Paper 12b. Albert Kwok Ping Ki, Hong Kong, China. The History of Freemasonry in China: a Case Study. Paper 10c. Róbert I. Péter, Hungary. Seven Dimensions of Masonic Religiosity in the Age of Reason. Paper 11c. Mark Lause, USA. Confederate Brotherhood: the Knights of the Golden Circle and Masonic-inspired Societies in the Unmaking of the United States, 1850-1865. Paper 12c. Tom McRae, Australia. Working Class Freemasonry In Scotland. Paper 13a. Diane Clements, UK. “Act on the Square, boys!”: Freemasonry and the Business of Music Hall. Paper 14a. Anat Harel, The Netherlands. Latin masonry up North? Dutch masons and the ‘School Funding Battle’. Paper 15a. Márton Szentpéteri, Hungary. Writing the History of Freemasonry at the End of the Enlightenment: Ádàm Pálóczi Horváth’s Biography of the Grand Masters of Wisdom. Paper 13b. William D. Moore, USA. American Shriners’ Mosques, 1904-1930: Palaces of Consumption, Theaters of Masculinity. Paper 14b. Rik Röttger, Belgium. Paramasonic Political Activism in Belgium 1884-1914. Paper 15b. Andreas Önnerfors, Sweden. 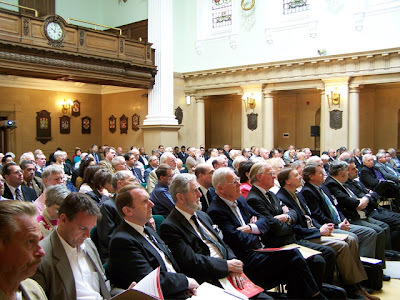 Female and Adoption Freemasonry: Gender, Ritual and Participation. Paper 13c. Alan Francis Nowell, UK. A Masons’ Guild Dance Remnant in Royal Arch Ritual. Paper 14c. Pierre Mollier, France. 1877, Fraternité et incompréhension: La correspondence entre la Grande Loge d’Ecosse et le Grand Orient de France au sujet des relations entre religion et Franc-maçonnerie. Pape 15c. Céline Sala, France. The Public Sphere and Masonic Followers of the Enlightenment in the Kingdom of France: the Town of Perpignan as an Example. Paper 16a. Andréa A. Kroon, The Netherlands. Taking Stock of Freemasonry’s Cultural Heritage: The OVN Pilot Study of 18th, 19th and early 20th Century Lodge Buildings in the Netherlands. Paper 17a. Jessica Harland-Jacobs, USA. “Sons of the East and West”: Conceptions of the Brotherhood in the Era of Late Empire. Paper 18a. Robert L. D. Cooper, UK. The First Minute Book of the Lodge of Aitchison’s Haven 1598-1764. Paper 16b. Heather K Calloway, USA. The House of the Temple and the Path of Initiation. Paper 17b. Solomon A. J. Pratt, UK. The Introduction of Freemasonry in West Africa. Paper 18b. Thomas Eric Henry, UK. Understanding the Laurence Dermott Link 1751-1791. Paper 16c. Suzanne O’Neill, Ireland. Paper 17c. Helge Bjørn Horrisland, Norway. English Masonic Influence on Norwegian Independence in 1905. How English Freemasons Influenced the Abolishment of The Union between the Kingdoms of Sweden and Norway in 1905. Paper 18c. Hugh Young, Canada. Encouraging Research through a Computer Game (Masonic Trivia 3.0). Paper 19a. Andrew Prescott, UK. Approaches to the History of the British Masonic Press. Paper 20a. Marie Mulvey-Roberts, UK. Paper 21a. Eric Saunier, France. Les renouvellements de l’historiographie maçonnique. La franç-maçonnerie en France et en Europe à l’époque napoléonienne (1800-1815). Paper 19b. J. W. Daniel, UK. The Masonic Observer 1856-1859: a ‘Specialist Masonic Publication’ par excellence. Paper 20b. Ronnie Scott, UK. Freemasons and Freemasonry in the Making of the Glasgow Necropolis. Paper 21b. Michel Brodsky, Belgium. Les loges Belges sous le regime Français. Paper 19c. Aubrey Newman, UK. The Freemasons’ Magazine and Masonic Mirror 1856-1871. Paper 20c. Ian Robertson, UK. The Murdered Mason Theme Explored in Legend, Literature and in Freemasonry. Paper 21c. Leon Zeldis, Israel. Hipolito da Costa and his History of the Dionysian Artificers. Paper 22a. John Hamill, UK. The London Book Trade in Masonic Records 1770 - 1830. Paper 23a. David Merchant, USA. Clavel’s Influence on Lorenzo Elizago. Paper 24a. Philip Carter, Australia. Craftswomen in the Old Charges, in Building Trades and as Stonemasons. Paper 22b. Floor Meijer, The Netherlands. Freemasonry in the Amsterdam Periodical Press 1860-1900. Paper 23b. Guillermo de los Reyes Heredia, USA. Decoding Masonic Translations: the Case of Webb’s Freemason’s Monitor and its Translations into Spanish. Paper 24b. Marta Dorigo, Italy. The Contribution of Women to Freemasonry. Paper 22c. Jimmy Koppen, Belgium. The Belgian Antimasonic League in Service of Catholic Propaganda, 1909-1914. Paper 23c. Paul Rich, Mexico. Paper 24c. Hilary Anderson, USA. Expression and Affection in American Masonic Quilts of the 1800’s. Plenary lecture 5 James Steven Curl, UK. Freemasonry and Garden History: Ideas, Allusions, Fabriques and the Enlightenment. A couple of personal incidents among so many from this weekend. 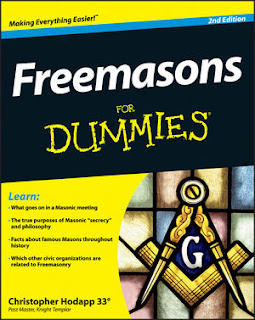 At the gala dinner, a brother from Ireland came up to me and said he had just purchased an autographed copy of Freemasons For Dummies off of Ebay that was being sold for charity. This was a book I dropped off for brother Chris Quigley, an English Mason who was visiting Indianapolis last month for the week of York Rite festivities. So what are the odds I would meet the man who bought this copy halfway around the world? The other was a young man, Jimmy Koppen, who stepped up and introduced himself from Belgium. It seems that he has been hired by Wiley’s Danish publisher to translate Freemasons For Dummies into Dutch. What are the odds I would stumble into this man, after just hearing last week about the translation? New trailer for National Treasure 2: Book Of Secrets released this weekend. LOTS of Masonic symbols used. LOTS. S&Cs, PM jewels, AASR double eagle, KT cross, a Shrine symbol - and that's what I saw viewed on a tiny postage stamp screen. Heave away chaps. 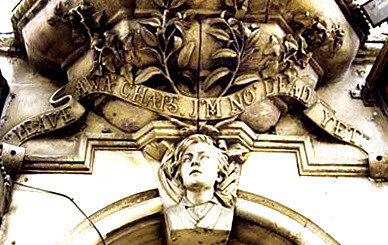 I'm no' dead yet." I'm sure there's a serious explanation for this, but why am I thinking of Monty Python here? Paisley Close in Edinburgh, between a bar and a wine shop. Possibly a monument to drinking too bloody much? Rosie O'Donnell Won't Be Back On "The View"
Looks like Rosie has exited. It even made the news in Scotland. Got back to my room at 6:15 and discovered a note from Robert Cooper at the Grand Lodge, who said Lodge Waverley No. 597 was working tonight, and opened at 7:00PM. I blasted through a shower, threw on the tails and cabbed it to the lodge just as it was opening. To my great surprise, a group of Masons from George Washington Lodge in Chambersburg, Pennsylvania were visiting and demonstrated their Master Mason degree. I counted nearly 45 brethren packed into the comparatively tiny room. My best unscientific guess was that perhaps 16 or so were visiting for the ICHF conference like myself. My deepest thanks go to the brethren of Lodge Waverley for their hospitality and their warm welcome. There were so many brethren there that I met in such a brief period of time that I can't possibly remember them all. 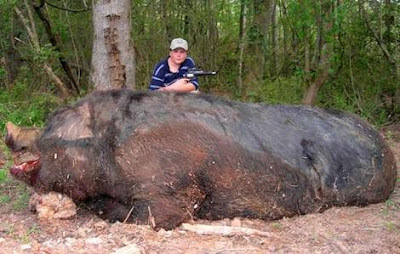 I urge my U.S. brethren to not jump up and start screaming at your monitor when you read this, but Americans are missing so much by our backward no-alcohol rules, as any Mason who has visited lodges outside of the States can tell you. I was with a group earlier in the day, and a Scottish Mason mentioned that there was always a "harmony" after the lodge. A brother from Iowa looked confused. And that's what's wrong with U.S. Masonry. The bar opened immediately after the closing gavel fell, and the truly fun, social part of the evening began. Literally dozens of brethren met and gabbed into the evening (11:30 when the last left). They caught up on each others' lives. They rekindled old friendships. They shared business cards. One brother got up and played a selection of bawdy songs on the guitar. In short, the evening was that perfect balance of ritual, formality, business, fun, friendship and the sheer joy of camaraderie and brotherhood. I've had angry brethren at home seriously look at me and say "Oh, and we can't have that kind of evening without allowing alcohol?!" In short, no we can't. A stark church basement will never be as convivial to adult men as a place where a round of drinks is served. No one went home tonight plastered. Everyone was home by midnight. No bar fights broke out. No one threatened to sue the lodge or Grand Lodge or the lodge officers. No one in his cups cried in the corner. And the earth did not stop spinning on its axis. First stop today was the William Wallace Monument. I climbed all 264 steps to the top. Every bloody one of them. I was proud of myself. Of course, the Wallers, both in their late 70s, beat me to the top, and Everett has a steel rod in his leg. And we were all being chased to the top by 200 8 year olds. In spite of its medieval appearance, the monument was actually not built until the 1860's. Its four interior levels can only be reached by climbing the 246 steps of a narrow, winding staircase that is perforated occasionally by narrow slit windows, as any good castle tower would have had. The view from the top is truly breathtaking, as the monument sits high atop a knoll that Wallace was said to have commanded the battle from. The famous Scottish "wild winds that greet you" blast from the mountains down into the deep valley below. In a bizarre nod to popular culture, just outside the ticket office, there is a massive stone sculpture of Mel bloody Gibson kitted up as Wallace in Braveheart. Really. 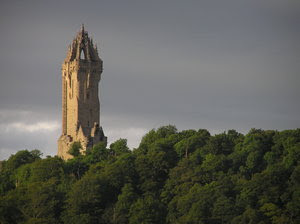 (One local resident famously objected to its placement at the Wallace Monument as desecrating the place of his memory with a "lump of crap.") Braveheart is responsible for a huge wave of nationalism in Scotland that some say drove the move for greater autonomy of its government in recent years, along with a huge surge in tourism. Stirling Castle is well worth taking a tour. It commands an incredible location overlooking what were the two most important crossroads on Scotland that linked the north and south, the east and west. Both the Battle of Stirling bridge and the battle of Bannockburn were fought nearby. The 15th century Great Hall restoration is incredible, as is the royal chapel where Mary Queen of Scots had her Catholic son baptized while the Protestant lairds stood screaming outside. Be sure you get Bryan as your tour guide. He looks the way you want him to. He speaks exactly the way you want him to. He brings the whole castle alive with his stories and his enthusiasm is infectious. Bannockburn Battlefield. Hmmm. No mention of those supposed Knights Templars who came riding out of the woods to scare the bejeebers out of the English troops. Seems they were "small people," or camp followers and not Templars at all. Andy Jackson and Carson Smith back home will be crushed by this important news. Or convinced it is a conspiracy by anti-Templar doubters. Curiously there is a massive flag pole erected near the statue of Robert the Bruce, put up by - not the Masons or the Knights Templar - but the Order of Odd Fellows. By complete chance, I wandered into La Rusticana Ristorante on Hanover Street. My very attentive waiter, John Antonelli, steered me properly, and I had one of the finest filet au poivre I've ever tasted (a French dish made from Scottish beef in an Italian restaurant in Edinburgh). I feel that after 264 steps this morning, I deserved it. The decor is not upscale (someone's personal paintings of Pavarotti, Maria Callas, Placido Domingo), but neither is the price. And the menu is positively huge. It's one of those great surprises, and in a pinch this week, I might even go back. To my great surprise, Ken and Ian tell me that Scottish lodges go dark in May through September, and it is unlikely that I'll have the opportunity to sit in lodge while I'm here. I popped off a note to Robert Cooper, curator of the Grand Lodge of Scotland's museum and library, and author of The Rosslyn Hoax. With any luck he'll know of something going on this week. By the way, if you haven't read Cooper's book, I honestly believe it is the most important Masonic/Templar book published in the last 50 years. He gets top marks from me for slaughtering a whole herd of sacred cattle by actually examining Rosslyn Chapel in relation to other similarly aged cousins, comparing the supposed Templar "evidence" with other known medieval symbolism in the Scottish countryside, and seriously looking at the accepted historical record. If Born In Blood or The Temple and the Lodge are your bibles on this stuff, Cooper is your heretic, and you'll demand his burning at the stake. 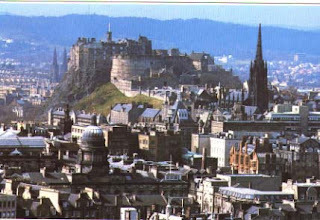 Arrived in "Auld Reekie" today, after a surprisingly harmless Delta flight via Atlanta. The brethren, Ken McNab and Ian Reilly, of Scottish Masonic Tours who arranged the tour package for the group have done a terrific job so far. I am here for the International Conference on the History of Freemasonry, and I am in august company indeed. Met up with brethren from San Diego (Dan Sola, an inspector for the Grand Lodge of California; Fred Kleyn, Treasurer of Lux Lodge No. 846; John Heisner, author of Meditations on Masonic Symbolism, and his wife Margot), and Dr. Everett Waller and his wife Virginia from Sioux City, Iowa. We visit Bannockburn tomorrow and Rosslyn on Wednesday. I spent the afternoon wandering the streets around the George Hotel, and had me first two pints and fish and chips at the Kenilworth Pub (named after Brother Sir Walter Scott's novel), just behind Freemason's Hall. I haven't drunk enough to buy a kilt yet. But I am avoiding the scotch for the first day, so that could change. I dunno. Little chubby German boys are supposed to wear lederhosen, not skirts. To my everlasting horror, my cell phone works here, and so far, Alice, my bank, my accountant, my attorney, my brother, my mother, our roofer and two of our residents have discovered it. Rats. In souple scones, the wale o food! To wyte her countrymen wi treason! Fell source o monie a pain an brash! Ye Scots, wha wish aould Scotland well! Poor, plackless devils like myself! O Whisky! soul o plays an pranks! Wha mak the whisky stells their price! I have set for myself a hideous schedule. I drove to Iowa yesterday, spoke this morning, drove back this afternoon, and i leave for Scotland tomorrow. Hoot mon! Many thanks to W:.B:. Phil Enabit and the brethren of the Iowa Lodge of Research No. 2 in Des Moines for inviting me out to speak to their annual meeting about Freemasonry and the founding fathers. I was especially honored to be told that Solomon's Builders will be the book sent to their members this year. I had a terrific time meeting the brethren of this highly respected research lodge. Brother John Ratcliff had some very kind remarks about the book on his blog. And the indefatigable Ed King has an equally flattering review on his incredible MasonicInfo.com website. I am flattered and humbled by such praise from brethren whose opinions I have long admired. I wish I could linger a while in this glow of friendship and huzzahs, but I leave for Scotland in the morning and should be packing. It seems Dan Brown's publisher is still waiting for the manuscript for what may or may not be called The Solomon Key, and now doesn't expect publication before 2008. According to Bookseller.com, "It will be published when it is published." Whatever you may think of The Da Vinci Code, imagine the writer's block involved in writing the sequel to the thirteenth best selling book in human history. If you can't wait until 2008, check out Toby Inkster's Create Your Own Dan Brown Novel. Gets better with every refresh. Accidently stumbled upon one of the most thoughtful blog articles I've seen about Catholics and Freemasonry as regards interpretation of Canon Law, written by Brother Christian Ratliff in Maine. 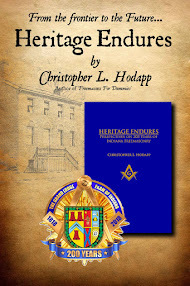 Brother Ratliff is also a developer of material for Maine's "Masonic College" education program. Check his Dispatches From Mainesite out. Indiana Railway Museum, Greensburg, IN, 1975. Last Sunday I was returning from the Midwest Conference on Masonic Education in Evansville. Those of us who live in Indiana know that Evansville is in the unfortunate position of being in the big toe of Indiana's boot, as far southwest as you can get. And if you live in Indianapolis, you also know there's no way to get to Evansville and back - at least no way that is logical. You either drive 9/10s of the way to Louisville in the southeast, then double back all the way across the state on I-65. Or you hotfoot it west to Terre Haute and then take a thoroughly unpleasant drive south for another two hours on a state highway that is totally unsuited for the job. Either way, you are going 40 miles out of your way if there was a shining ribbon of concrete going straight between Indy and Evansville. This dream is known as I-69, and as its number implies, its supporters have been screwed frontwards and backwards for decades, waiting for it to be built. I decided on the trip home on Sunday to take the straightest route, which adds nearly two hours to the voyage on Indiana's scenic back roads. My real excuse was to drive through the towns of French Lick and West Baden, two legendary, side-by-side resort towns from Indiana's early 120th century days. My grandmother used to come by train all the way from Louisville back in the 1920s to gamble at the resorts and "take the waters." I am no stranger to French Lick, because my first trip there was in 1977. And this is where this story is really headed. My step-brother and I both had a long-standing love affair with trains. We used to ride the city bus to downtown Indianapolis as boys and spend the day at Union Stations watching the trains pass through the city. We explored every nook and cranny of the nearly abandoned building. We knew all of the bums who lived in its secret hiding places. We snuck underground into the subterranean mail-handling caverns. We rode the baggage elevators. We explored the long abandoned offices and vaults. We climbed on the roof, and even snuck into the building one night to ascend all the way to the attic level, where we walked on narrow beams across the five-story high stained glass ceiling. Union Station didn't belong to the railroad, it belonged to us. At the age of 13, this was the coolest private fort a kid could have. Then we found something better. One day in the old passenger car storage area known as the Capitol Avenue Coach Yards (where the RCA Dome stands now), we stumbled across a group of 8 or 10 folks in their 20s and 30s restoring a 1950's era Pennsylvania Railroad observation car, Samuel Rea, named after the Pennsy's president from 1913 to 1925. It wasn't immaculate, but it was beautiful. And in one evening, I was hooked on the whole package - trains, restoration, being treated almost like a grown up, and having not just one, but a whole fleet of private railroad cars I could pretend were mine. The cars actually belonged to the Indiana Railway Museum, which had just moved from Westport to Greensburg, Indiana. There, we operated a tourist train from Greensburg to the wide spot in the road 5 miles up the line called Sandusky, and back again. The bane of our existence and our pride and joy was our steam locomotive, #11, a Baldwin oil-fired 0-4-0 saddle tank switch engine. Every Friday night our routine was to gather in Samuel Rea over dinner, drink beer, and make big plans for the future. We had almost no money, but what we did have was a dedicated core group of endlessly inventive members who found ways to achieve the impossible every weekend and keep the train running. 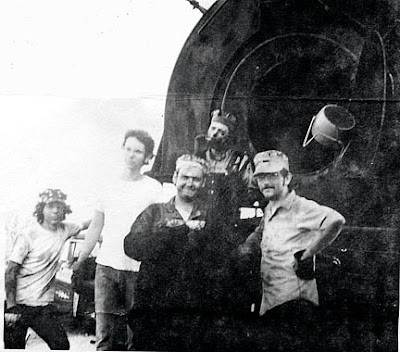 My step-brother Mike Winkler, Bill Jenkins, Tom and Marti Knowles, Tom and Pam Slater, Coleman Sachs, Bill Doran, Ralph Baker - and too many names I can no longer remember - we all spent every weekend for four years working on our private railroad empire. And our fearless leader through it all was the Museum president, Alan Barnett. Alan's father was the Mayor in Greensburg, and apart from the courthouse's "world famous" (appearing in Ripley's Believe It Or Not) Tower Tree - a tree that sprouted from the courthouse's clock tower, we were the only tourist attraction in town. As a result, when we needed favors from the town, we usually got them. Working on the railroad taught me how to run a business, how to weld, how to deal with the public, how to understand basic accounting, how to drive a stick-shift, how to drive a train, and how to drink and cuss like a railroad worker. It taught me personal responsibility and teamwork. It even motivated me to teach myself art and design concepts. But it also taught me about motivating people in a completely volunteer organization. All before I turned 16. So what does any of this have to do with Freemasonry, you ask? As I said at the top of this story, I drove through French Lick to see the train and the museum, but mostly to see my old friend Alan Barnett. The train cars of my youth are now almost all rusting hulks, with a few exceptions, replaced by other equipment in better repair that has remained in regular service. They haven't aged well. But Alan doesn't look any different to me than he did almost 30 years ago. We had a chance to give each other the quick thumbnail sketches of our lives since we saw each other last. He has been bedeviled by some health problems. The new French Lick casino was big news. The West Baden Springs Hotel is reopening soon, and they want to run train service between the two hotels. And I told Alan about my strange new life of late, and gave him copies of my books. 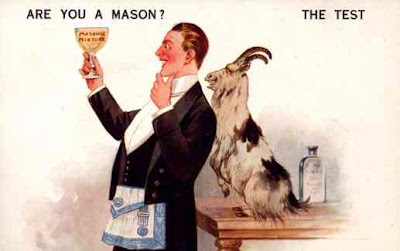 "Freemasonry," he said, "You're a Mason? Me too. I must've joined my lodge in Greensburg almost 40 years ago." All those years ago, this man I admired, who was the town sheriff, the president of the Museum, and a man who taught me so much about responsibility, common sense, mechanics, public relations and lots more - he had been a Freemason all along. This entry ought to drive David Icke and his paranoid cronies right up the wall. 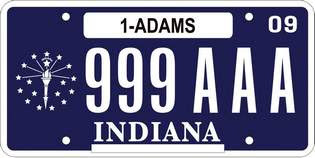 Indiana's Bureau of Motor Vehicles announced yesterday they were choosing that eeeevil Illuminati torch to be emblazoned on our license plates. Icke believes that the Masonic/Illuminati torch of enlightenment - as seen on the Indiana flag, the city's downtown monuments, and even that symbol of Masonic perfidy, New York's "Statue of Liberty Enlightening the World" - is a symbol of Masonic influence over America. 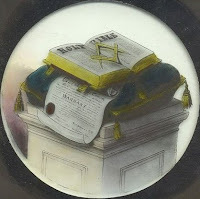 NPR's Weekend Edition reporter Rachel Martin did a story this morning about Freemasons in Washington DC, particularly about the brethren of Naval Lodge No. 4 and the increasing interest of young men in the fraternity. It is fair, mostly accurate, and a refreshing relief from the "Dying Masons Open Aging Temples To Show They Have No Secrets" stories that typically appear in the press. (Tabbert) says the current renewed interest in Freemasonry has brought in men who take a more serious approach to the ritual than older generations did, and who want to tighten initiation standards and raise dues. But he says the fraternity must watch out for men who sign up because of misguided theories linking Freemasonry to "divine secrets." "Once you get through the romanticism of a quest that doesn't exist, or foolishness about the Knights Templar or the Arc of the Covenant or the Holy Grail, you find out that there actually is a quest," Tabbert says. "And the quest is the inner journey, the self improvement, to be useful in society and improve yourself." 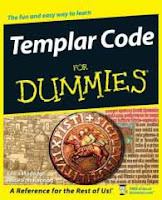 Amazon has the new cover up for Templar Code For Dummies. Projected publishing date is July 2nd. The Dangerous Book For Boys: Making Good Boys Better Ones? This has nothing to do with Freemasonry. But then again, maybe it does. 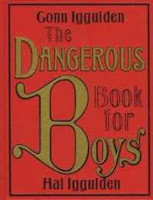 The Dangerous Book For Boys harkens back to an earlier time, before we had raised a nation of wimps, crybabies, bedwetters and Ritalin-sated video game obsessives. It was a day when boys played with bows and arrows, slingshots and pointed sticks, and climbed really tall, dangerous trees to build rickety forts with No Girlz Alloud. And along the way they learned to get along without getting their parents to sue each other or have the state pass anti-bullying laws or prosecute 4th graders for "hate crimes." With 30% of U.S.children living in single-parent households (overwhelmingly Mom with no Dad), here's a book to help a good boy become a better one. In this age of video games and cell phones, there must still be a place for knots, tree houses, and stories of incredible courage. The one thing that we always say about childhood is that we seemed to have more time back then. This book will help you recapture those Sunday after- noons and long summers—because they’re still long if you know how to look at them. Boyhood is all about curiosity, and men and boys can enjoy stories of Scott of the Antarctic and Joe Simpson in Touching the Void as much as they can raid a shed for the bits to make an electromagnet, or grow a crystal, build a go-cart, and learn how to find north in the dark. You’ll find famous battles in these pages, insects and dinosaurs—as well as essential Shakespeare quotes, how to cut flint heads for a bow and arrow, and instructions on making the best paper airplane in the world. How do latitude and longitude work? How do you make secret ink, or send the cipher that Julius Caesar used with his generals? You’ll find the answers inside. It was written by two men who would have given away the cat to get this book when they were young. It wasn’t a particularly nice cat. Why did we write it now? Because these things are important still and we wished we knew them better. There are few things as satisfying as tying a decent bowline knot when someone needs a loop, or simply knowing what happened at Gettysburg and the Alamo. The tales must be told and retold, or the memories slowly die. The stories of courage can be read as simple adventures—or perhaps as inspiration, examples of extraordinary acts by ordinary people. Since we wrote them, it’s been a great deal harder to hop about and curse when one of us stubs a toe. If you read Douglas Bader’s chapter, you’ll see why. They’re not just cracking stories, they’re part of a culture, a part we really don’t want to see vanish. Is it old-fashioned? Well, that depends. Men and boys today are the same as they always were, and interested in the same things. They may conquer different worlds when they grow up, but they’ll still want these stories for themselves and for their sons. We hope in years to come that this will be a book to dig out of the attic and give to a couple of kids staring at a pile of wood and wondering what to do with it. When you’re a man, you realize that everything changes, but when you’re a boy, you know different. The camp you make today will be there forever. You want to learn coin tricks and how to play poker because you never know when the skills will come in handy. You want to be self-sufficient and find your way by the stars. Perhaps for those who come after us, you want to reach them. Well, why not? Why not? The book is a cross between Boy's Life, the Boy Scout Manual, and a G-rated Steal This Book. But what I really like is the philosophy behind it. For all of modern society's cynical sneering and social engineering, boys need to be allowed to be boys, and single moms can't fill every need. Moms can't teach boys about chivalry and how to be both strong and honorable. And video games can't teach boys about true heroism or cunning or or leadership or problem solving. There's a reason this book is the #2 book on Amazon this weekend. "The tales must be told and retold, or the memories slowly die." Truer words were never spoken. And maybe, just maybe, society is at long last reawakening to some of the virtues of being a man that it's spent four decades casting on the ash pile. And maybe, just maybe, this post really is about Freemasonry after all.